KSE Corporation is a full service company. We will assist you at whatever level is appropriate and desired. From a completely turnkey project including construction services, and installation and start up - to the sale of a discrete component; whatever our customers needs, we will fulfill their expectations. In addition to installation capability, we also have the resources for on and off-site repairs, NIST traceable calibration services, design and consultation, and client training for any product. 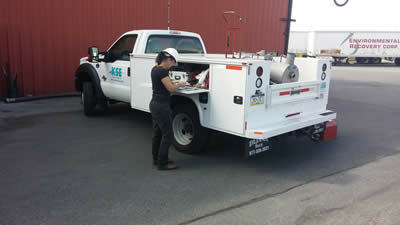 Our Factory-Trained Engineers and Technicians stand ready to tackle your on-site calibration needs. Whether it is the calibration of pressure transmitters for ISO qualification or an annual contract for calibration services on RTD temperature recorders, to Physical Tank Calibrations; we can help. All calibrations are fully documented for traceability and “before and after” reports are always provided. Need to implement an instrument system without becoming a general contractor? KSE Is the answer. From initial consultation, design, layout and execution, we can provide the know how, construction services and coordinated approach to make your next project a complete success. On time, on budget and without compromise – we believe that performance is what counts! Many times it is economically advantageous to repair an instrument. With in house and on-site capability, help is just a telephone call away. Or use our handy RMA (Return Materials Authorization) Service. KSE Corporation has a wealth of instrumentation experience from which you and your Technical staff can benefit. 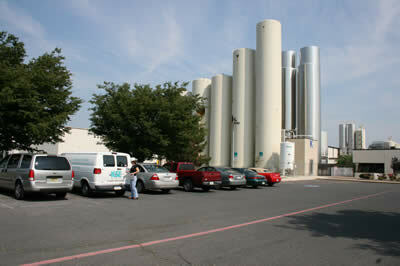 Ask us about Comprehensive Training Services at your facility, or here at our King of Prussia, PA Training Center. Minutes from Philadelphia, the area offers world-class shopping, dining, and recreational amenities, including our location overlooking the historic national landmark, Valley Forge Park.